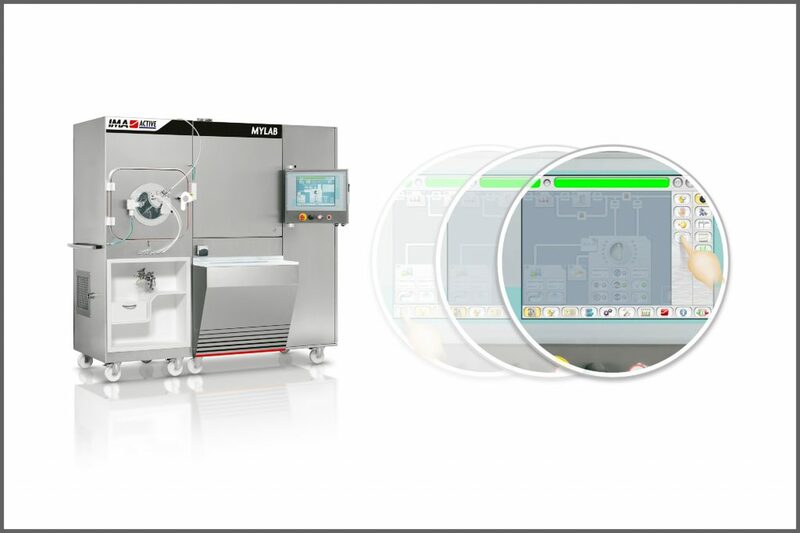 – Prompt responsiveness: the synoptic reproducing the main machine workflow ensures an intuitive control of the manufacturing process, allowing for fast reaction in case of malfunctioning. – Enhanced predictivity: XIMA increases the operator’s process knowledge and results in enhanced predictive capability. This leads to a lower risk of production blocking and to a superior quality of the final pharmaceutical product. – Easy learning: the intuitiveness of the system shortens the training period for new operators, while specialized operators can be easily moved through different machines and processes. XIMA has been an exercise of human-centered design. This approach starts with a good understanding of people and the needs that the design is intended to meet. 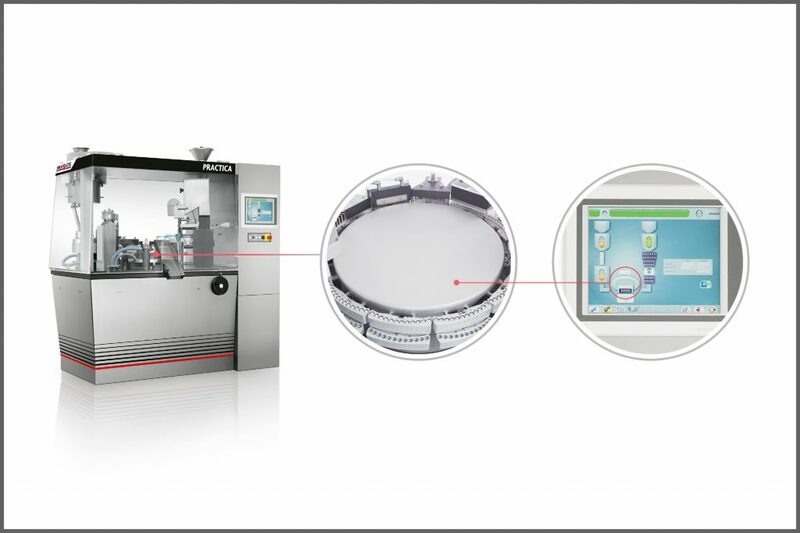 The result is an HMI that truly meet the needs of operators. XIMA is governed by the principle of linear navigation. Each action of the operator on the HMI corresponds to one and only one control signal. The rule which orients XIMA navigation is therefore a one to one correspondence. XIMA is based on the principle of natural mapping. Following ergonomics, the natural mapping uses spatial correspondence between the layout of the controls and the devices being controlled. This is exactly the principle on which XIMA is based. XIMA is inspired by the principle of iconicity. On a closed look, the images that took the place of textual labels are properly «icons». XIMA is ruled by the principle of scalability, which plays in two key dimensions. Scale-to-multiple-devices. 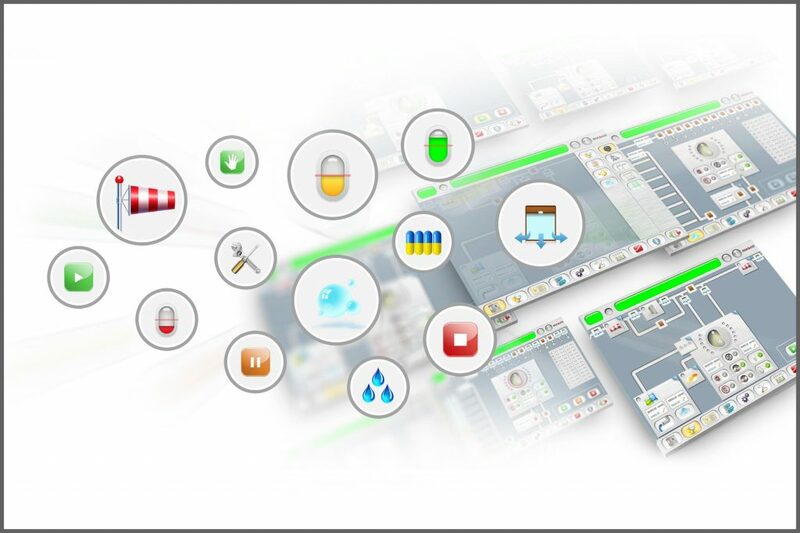 IMA Active’s user interfaces are developed on different software platforms, characterized by a wide range of graphical resolutions and multimedia capabilities. XIMA is governed by the principle of linear navigation. Each action of the operator on the HMI corresponds to one and only one control signal. The rule which orients XIMA navigation is therefore a one to one correspondence. This result is gained through the choice of a fixed architecture, composed of two main toolbars and two additional ones appearing on request. This means that XIMA is configured as a closed system, which orients the user’s actions according to a strictly hierarchical logic. Ultimately, the user cannot help but follow the guided path that XIMA draws for him. In other words, the principle of linear navigation can be summarized as “few things, well done”. The restrictions that XIMA imposes to its users turn into a guarantee of reliability. The consequence of a similar architecture is clear: with three clicks at most, the user is able to reach all the pages of the HMI. No other nested menu, a part from the ones that are within a three clicks range. XIMA is based on the principle of natural mapping. Following ergonomics, the natural mapping uses spatial correspondence between the layout of the controls and the devices being controlled. This is exactly the principle on which XIMA is based. The synoptic reproduces the main machine workflow, while the layout of the controls reproduces the position of the devices being controlled. Each button, simply, lies precisely in its own place. This positional criterion takes advantage of spatial analogies and, consequently, increases the discoverability of the controls. As a result, XIMA leads to immediate understanding. That is to say, discovering what it does, how it works and what operations are required. XIMA is inspired by the principle of iconicity. Where possible, the controls on XIMA are identified through images instead of texts. At a first glance, this is certainly the most impressive advance of the new HMI compared to the old version. By replacing texts with images, XIMA succeeds in overcoming constraints deriving from different languages. On a closed look, the images that took the place of textual labels are properly «icons». The graphics on XIMA buttons are chosen precisely because of their similarity to the function being controlled through that button. For example, the product hopper is represented as a fuel tank, regardless of the specific device used to perform this function. Its status is displayed through the adoption of universal color codes: “green” when the container is full, “orange” when it is almost empty and, finally, “red” when all the product is finished. Users search for clues, for any sign that might help them cope and understand. As they are drawn up, the icons of XIMA act as perceivable indicators that suggest appropriate functions to the operator. XIMA is ruled by the principle of scalability, which plays in two key dimensions. Scale-to-multiple-devices. For technical reasons, IMA Active’s user interfaces are developed on different software platforms, characterized by a wide range of graphical resolutions and multimedia capabilities. Starting from small touch screen monitors to 19-inch monitors, including a pilot project on mobile devices. 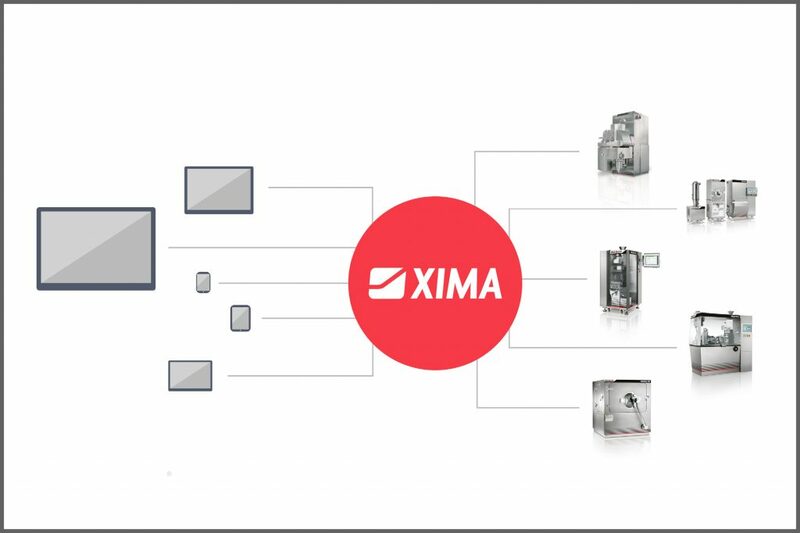 Scale-to-multiple-machine.The choice for controls which are replicable independently from the specific technical solutions has made XIMA easy to be applied on all IMA Active machines. Such a transversal approach ensures that XIMA is easily replicable and adaptable to customers’ requests. XIMA is designed in order to be suitable for all these solutions, without compromising the core of the project. The principle of scalability on which the project is based puts both IMA Active and the customers in a win-win situation.